Sunshine matters. A lot. The idea isn’t exactly new, but according to a recent study, when it comes to your mental and emotional health, the amount of time between sunrise and sunset is the weather variable that matters most. Your day might be filled with irritatingly hot temperatures, thick air pollution and maybe even pockets of rainclouds, but that won’t necessarily get you down. If you’re able to soak up enough sun, your level of emotional distress should remain stable. 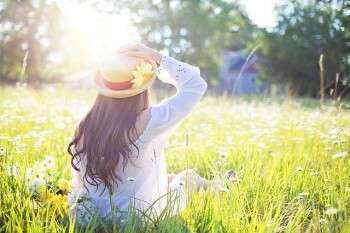 Take away sun time, though, and your distress can spike. This applies to the clinical population at large, not just those diagnosed with Seasonal Affective Disorder. “That’s one of the surprising pieces of our research,” said Mark Beecher, clinical professor and licensed psychologist in BYU Counseling and Psychological Services. “On a rainy day, or a more polluted day, people assume that they’d have more distress. But we didn’t see that. We looked at solar irradiance, or the amount of sunlight that actually hits the ground. We tried to take into account cloudy days, rainy days, pollution . . . but they washed out. The one thing that was really significant was the amount of time between sunrise and sunset.”Therapists should be aware that winter months will be a time of high demand for their services. With fewer sun time hours, clients will be particularly vulnerable to emotional distress. Preventative measures should be implemented on a case-by-case basis. The study, which was published in the Journal of Affective Disorders, started with a casual conversation that piqued Beecher’s professional curiosity. A lightbulb went off in Rees’ head. As a physics professor, Rees had access to weather data in the Provo area. As a psychologist, Beecher had access to emotional health data for clients living in Provo. The duo then brought in BYU statistics professor Dennis Eggett, who developed the plan for analyzing the data and performed all of the statistical analyses on the project. The study analyzed several meteorological variables such as wind chill, rainfall, solar irradiance, wind speed, temperature and more. The weather data could be analyzed down to the minute in the exact area where the clients lived. The study focused on a clinical population instead of a general population. The study used a mental health treatment outcome measure to examine several aspects of psychological distress, rather than relying on suicide attempts or online diaries. The weather data came from BYU’s Physics and Astronomy Weather Station, and the pollution data came from the U.S. Environmental Protection Agency. Mental and emotional health data came from BYU’s Counseling and Psychological Services Center. 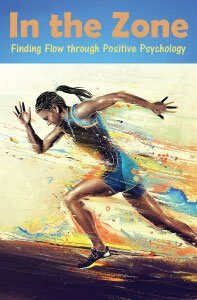 In the Zone: Finding Flow Through Positive Psychology is a 2-hour online continuing education (CE) course that offers a how-to guide on incorporating flow into everyday life. According to the CDC, four out of ten people have not discovered a satisfying life purpose. Further, the APA reports that most people suffer from moderate to high levels of stress, and according to SAMSHA, adult prescription medication abuse (primarily to counteract attention deficit disorders) is one of the most concerning health problems today. And while clinicians now have a host of resources to mitigate distress and reduce symptomatology, the question remains: how do clinicians move clients beyond baseline levels of functioning to a state of fulfillment imbued with a satisfying life purpose? The answer may lie in a universal condition with unexpected benefits…This course will explore the concept of flow, also known as optimal performance, which is a condition we are all capable of, yet seldom cultivate. Everyone occasionally feels blue or sad. But these feelings are usually short-lived and pass within a couple of days. When you have depression, it interferes with daily life and causes pain for both you and those who care about you. Depression is a common but serious illness. Many people with a depressive illness never seek treatment. But the majority, even those with the most severe depression, can get better with treatment. Medications, psychotherapies, and other methods can effectively treat people with depression.Some types of depression tend to run in families. However, depression can occur in people without family histories of depression too. Scientists are studying certain genes that may make some people more prone to depression. 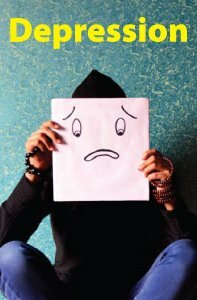 Some genetics research indicates that risk for depression results from the influence of several genes acting together with environmental or other factors. In addition, trauma, loss of a loved one, a difficult relationship, or any stressful situation may trigger a depressive episode. Other depressive episodes may occur with or without an obvious trigger.This introductory course provides an overview to the various forms of depression, including signs and symptoms, co-existing conditions, causes, gender and age differences, and diagnosis and treatment options. 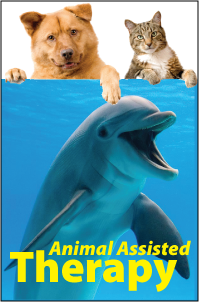 In Animal-Assisted Therapy (AAT) the human-animal bond is utilized to help meet therapeutic goals and reach individuals who are otherwise difficult to engage in verbal therapies. AAT is considered an emerging therapy at this time, and more research is needed to determine the effects and confirm the benefits. Nevertheless, there is a growing body of research and case studies that illustrate the considerable therapeutic potential of using animals in therapy. AAT has been associated with improving outcomes in four areas: autism-spectrum symptoms, medical difficulties, behavioral challenges, and emotional well-being. This course is designed to provide therapists, educators, and caregivers with the information and techniques needed to begin using the human-animal bond successfully to meet individual therapeutic goals. This presentation will focus exclusively on Animal Assisted Therapy and will not include information on other similar or related therapy. Professional Development Resources is a non-profit provider of online continuing education courses accredited by the American Psychological Association (APA); the National Board of Certified Counselors (NBCC); the Association of Social Work Boards (ASWB); the American Occupational Therapy Association (AOTA); the American Speech-Language-Hearing Association (ASHA); the Commission on Dietetic Registration (CDR); the Alabama State Board of Occupational Therapy; the Florida Boards of Social Work, Mental Health Counseling and Marriage and Family Therapy, Psychology & School Psychology, Dietetics & Nutrition, Speech-Language Pathology and Audiology, and Occupational Therapy Practice; the Ohio Counselor, Social Worker & MFT Board and Board of Speech-Language Pathology and Audiology; the South Carolina Board of Professional Counselors & MFTs; the Texas Board of Examiners of Marriage & Family Therapists and State Board of Social Worker Examiners; and is CE Broker compliant (all courses are reported within one week of completion). This entry was posted in Mental Health and tagged sunshine and mental health by Gina Gunderson. Bookmark the permalink.